Where did I get it? Janet gave me it when we met up in Leicester. What's it about? Okay, so. The blurb says "Francis Wootton's first memory is of Kurt Cobain's death, and there have since been other hardships much closer to home. At fifteen years old he already knows all about loss and rejection - and to top it all off he has a permanently broke big brother, a grandma with selective memory (and very selective social graces) and a mum who's at best an acquired taste. Would-be poet, possible intellectual, and definitely wasted in Tyne and Wear, Francis has grown used to figuring life out on his own. There's the horror of being held back a year at school, the threat of imminent baldness, having to locate his best shirt in case a visiting princess or pop-star fancies him for a photo-op . . . But he hadn't reckoned on meeting Amber - fierce, tough, one-of-a-kind Amber - and finding a reason to tackle it all - the good, the bad, and everything in between - head on. 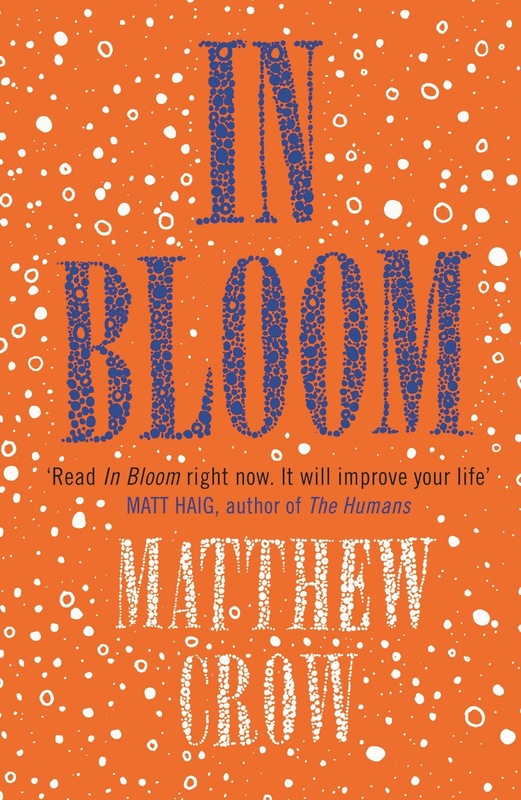 In Bloom is a bright, funny, painful, and refreshing novel about wanting the very best from life, even when life shows you how very bad it can be. 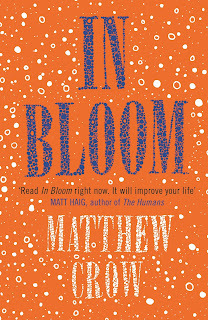 It is a novel about how to live". However, there's very little mention of the Kurt Cobain thing at all, so I don't know why it's so prominent on the book itself. Francis is about to go into Year 10, only he's not very well, and is diagnosed with leukaemia. He spends time on a ward having treatment, and meets Amber and her family, and falls in love with Amber. That's the whole thing, basically. Are any main characters LGBTQ+? Yes, Francis' brother Chris (who is actually far more interesting than Francis), but it isn't mentioned much. It is nice to see a gay character in a novel set in the North East, though. Are any main characters non-white? Not as far as I recall. Are any main characters disabled either mentally or physically? I suppose both Francis and Amber are made somewhat disabled by their illnesses, but it isn't mentioned much. Would I recommend the book? No. I didn't enjoy it at all. One problem was the misleading blurb, which bore little relation to the rest of the novel. Secondly, I didn't feel Francis was a convincing teenager. He was too Adrian Mole, too Morrissey, to be real. I also felt like the timelines were all over the place with not a lot of signposting when time moved on. I felt that the medical side was really lacking - Francis has "treatment" but there's no explanation as to what, exactly, and then he feels awful for the rest of the novel but there's not much description of that, either. Also, given that this was published in 2013, if Francis' first memory was when he was four, by 2013 he was 23. That's off for YA fiction. Finally, the epilogue just really bugged me. How many stars? 4 out of 10. Being generous. Where is the book going now? I'm passing it on to a friend who wants to read it - I think she'll like it, and especially Francis, more than me!